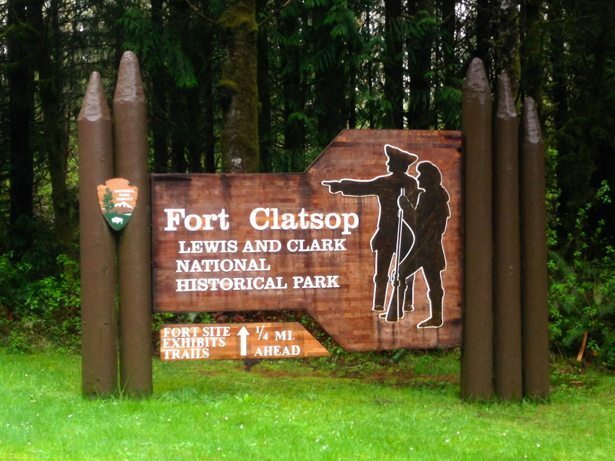 Just before crossing the border into Washington we stopped at Fort Clatsup – a national site that celebrates the journey’s of Lewis & Clarke. We read all about Lewis & Clark in October in preparation for our drive through Oregon so it was neat to be able to catch this park on the way home. Hunter remembered most of what he had read in the fall and worked through his junior ranger badge quite quickly. 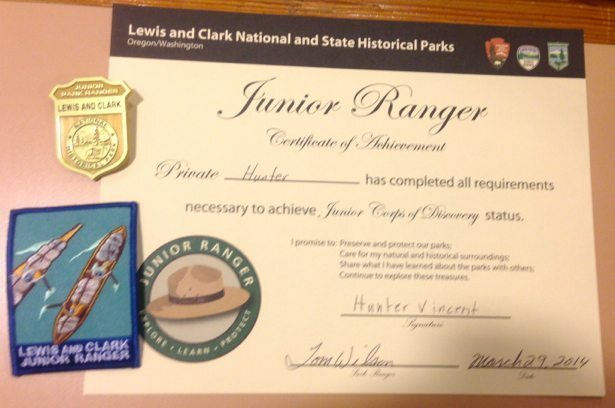 Junior Ranger – badge, certificate & patch! 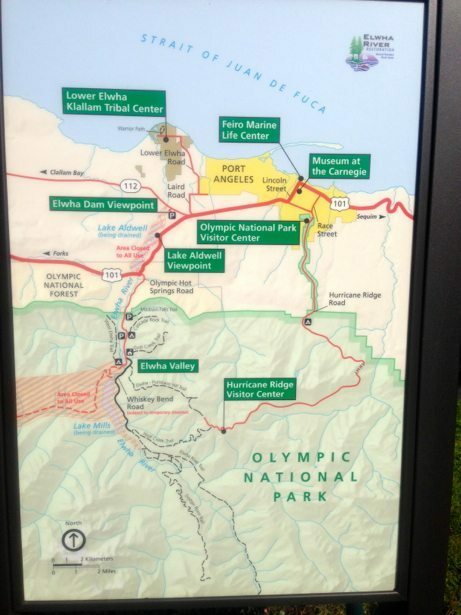 We headed straight up highway 101 from Oregon to Neah Bay, the farthest NW point in Washington State. 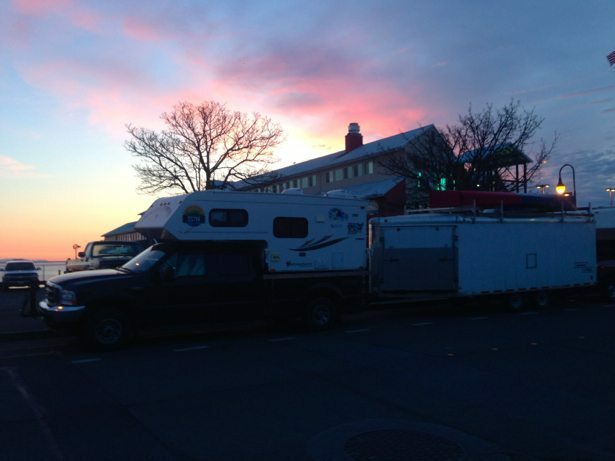 We had a great time here in early October and had our fingers crossed that we would be able to replicate it… We pulled into the Hobuck Bay campground after a day of driving with intermittent rain. Unfortunately, that trend continued and we had 3 days of winds and off/on rain. 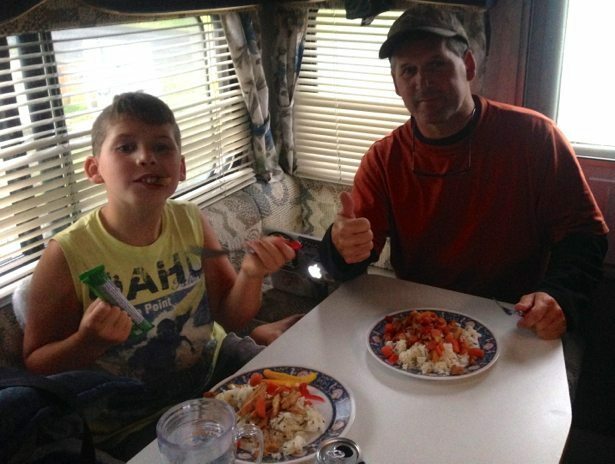 His first dinner – chicken stir fry! 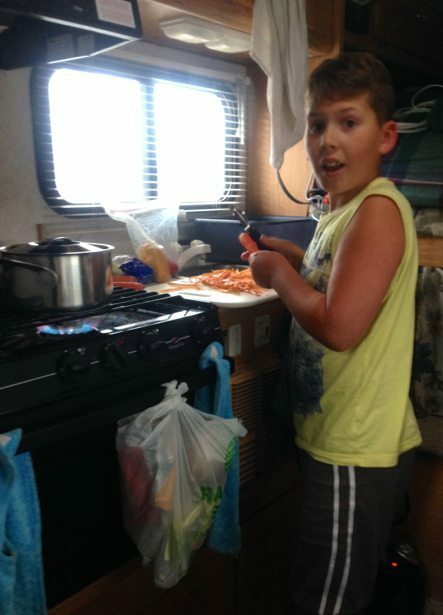 All of the indoor time was put to good use – Hunter decided he wanted to learn to cook and has started making dinners and breakfasts. No fingers lost or major burns yet! 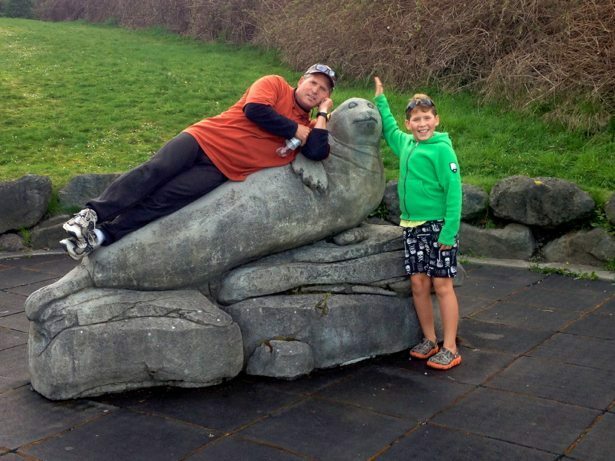 From Neah Bay we headed into Port Angeles to visit with Morgan and Steve (the dog). Morgan runs Olympic Raft & Kayak and we met him when we were here in the fall. If you are in the area, you should definitely stop in and experience his tours – fabulous knowledge of water and this area! 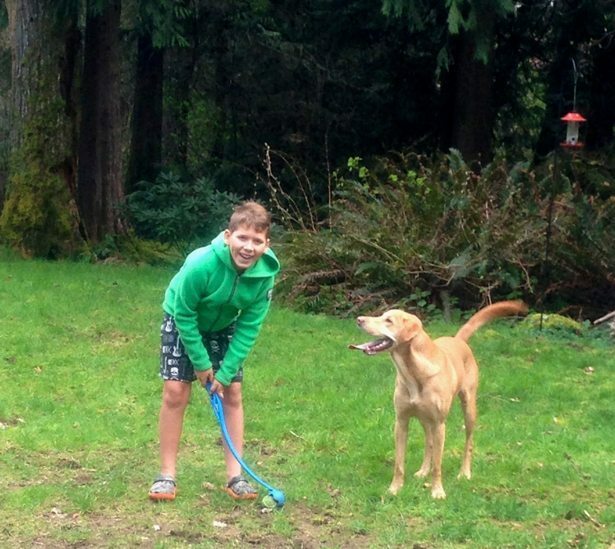 Steve will play catch forever and this works well for Hunter. We grabbed lunch with Morgan, played lots with Steve and then got ourselves parked in line for the 8:10 am ferry the next morning. We got in line at 3pm and were 3rd. 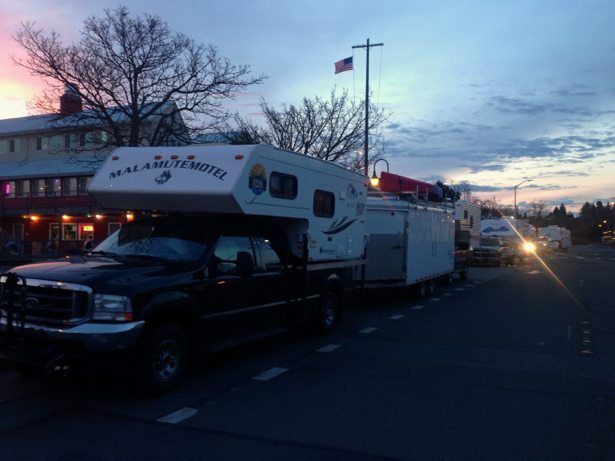 The line grew all night long… The nuance is important – we were not camped on the side of the road in downtown Port Angeles, we were parked in line for the ferry! 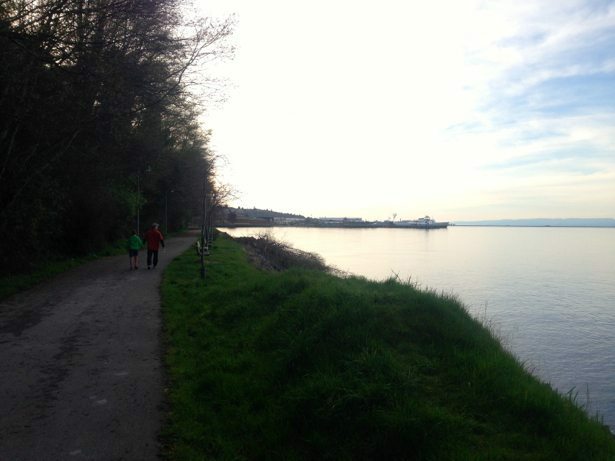 We spent the afternoon enjoying the sunshine and exploring the trails of Port Angeles. 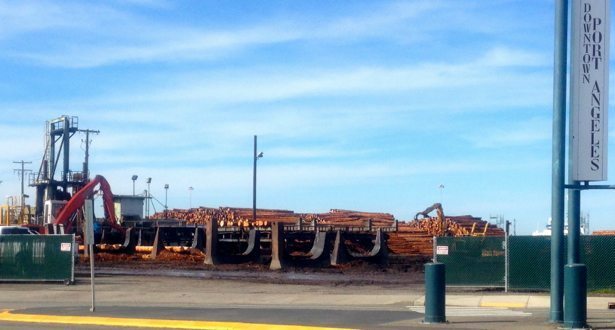 Port Angeles is still very much a logging town so it was also neat to see all the forestry operations. 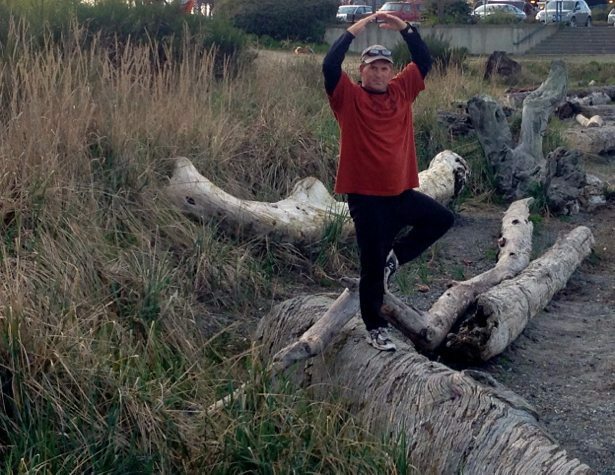 Good to see Tim is practising his Yoga.